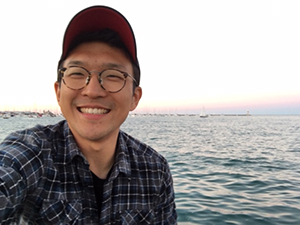 The roles of fibrinolysis in regulating coagulation factor XIII”, by Steve Hur, PhD Candidate, Kastrup Lab. Coagulation factor XIII (FXIII) is a protransglutaminase enzyme that is activated at the end of the coagulation cascade. Activated FXIII (FXIIIa) stabilizes the blood clot from premature lysis by covalently crosslinking fibrin molecules to itself and to other anti-fibrinolytic proteins. Although the role of FXIIIa as an antifibrinolytic protein has been well characterized, the role of fibrinolysis in regulating FXIII and FXIIIa has not been characterized. We showed that plasmin preferentially cleaves the active enzyme FXIIIa, but not the zymogen FXIII, during clot lysis, but not during clot formation. During catheter directed thrombolysis, where plasmin levels are highly increased, FXIII and FXIIIa levels were substantially decreased in some patients. We identified a novel substrate of FXIIIa: amyloid beta (Aβ). FXIIIa covalently crosslinked Aβ40 into dimers and oligomers, as well as to fibrin, and to blood clots. Monday, January 21, 2019 at 3:00 pm, LSC#3, 2350 Health Sciences Mall.